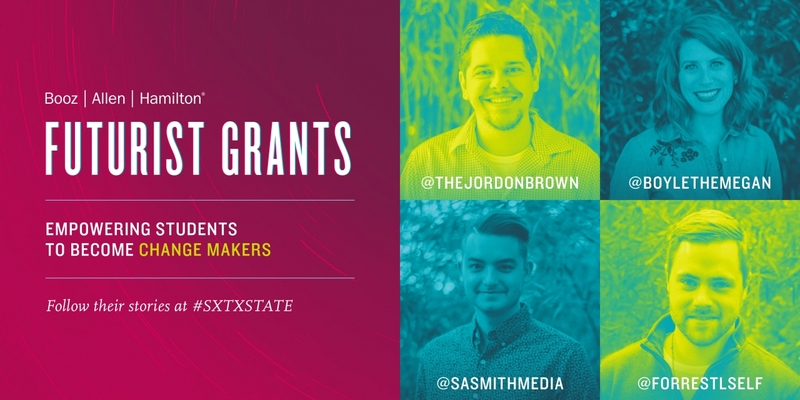 To cover emerging public sector innovation, Booz Allen awarded a grant to SXTXState, a project of the Texas State University School of Journalism & Mass Communication. Highlights follow from what the program’s director, adjunct professor and graduate student futurists found at SXSW 2019. “The biggest theme that I noted during this SXSW was the growing anxiety caused by technology,” said longtime program director Dr. Cindy Royal, Professor in the School of Journalism and Mass Communication and Director of the Media Innovation Lab at Texas State University. She cited location services and social media platforms that collect copious amounts of personal data, the use of technology to create and spread false information, and issues of diversity and representation. “SXSW is a good place for these conversations to occur, because it operates at the intersection of so many disciplines—tech, journalism, entertainment, politics, health, nonprofit, and more,” she said. For Logan Self, another graduate student at Texas State University who is also enrolled in the SXTXState program mentioned that SXSW highlights included advances in personal and urban mobility and space exploration. He cited the use of augmented reality in building spacecraft, with the benefit being that workers are freed up and can focus more on the development of the craft itself. Sean Smith who is also a graduate student at the University was encouraged by conversations in the health and medical technology sectors, specifically panelists talking about ways to prevent the misuse of personal data. Jordon Brown, an adjunct lecturer at Texas State University, noted a change in how presenters and attendees discussed technology. “Angst, apprehension, distrust, and skepticism are not usually themes found among the panels of SXSW, but this year [we] saw a lot of folks questioning the role the major technology companies play in our day-to-day lives,” he said. Learn more about SXTXState and Booz Allen’s activities at SXSW 2019.